Derby tools to build your car and make it fast. ...with Pinewood Pro's Blue PRO Tools. 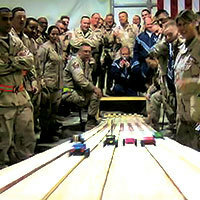 Specialized Pinewood Derby PRO Tools to help you build a fast car. PRO Driller™ Four Ways to Increase Speed! 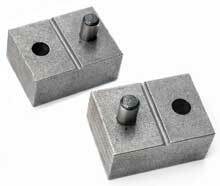 Drill perfectly straight and square axle holes or slots. Straight cars don't hit the center rail (or hit the side rails for guide-less tracks). Extra energy goes to increase your car's speed. Adjustable tool with exclusive View Port, for any pinewood derby car block; BSA, PineCar, AWANA, Royal Rangers, etc. Includes perfectly sized 2.2mm drill bit and instructions. Easy Axle Insertion - Ensures accurate mounting of axles to improve alignment. Accurate alignment is critical for top speed. Perfect Wheel-to-Body Spacing - The built in Spacer gives you the perfect gap between the wheel hub and car body. The proper gap minimizes car wobble and reduces excess contact between the wheel hub and car body. Reduced Risk of Block Damage - During the insertion process the PRO Axle Guide provides support to the wood around the axle slot, minimizing the risk cracking or damaging the block. PRO Axle Guide Tool with axle inserted into pinewood derby block. How do you cleanly insert axles into those tight slots? How to remove stuck axles without damaging your wheels? One end of this handy Tool easily glides your axles into the slot. The other end is used to easily grip the axle head and gently pull it out. The Axle Inserter and Puller Tool is essential if you are using Ultra-Lite wheels which can be damaged when pulling them in and out. If your wheels are too tight, your car slows dramatically. If they are too loose, your car wobbles, also slowing your car down. The Wheel Spacer Tool is a stainless steel "feeler gauge" that sets the exact spacing between your wheel hub and car body so your car runs at optimal speed. Just slide the Wheel Spacer over your axle and push the axle in until it is snug against the Wheel Spacer. Remove, and voila, perfect spacing. The Wheel Spacer tool makes this critical adjustment fast, easy and perfect, every time. Consider our complementary tool, the Axle Puller and Inserter, to insert your axles easily. One end is used to insert and the other end is used to remove axles without damaging your wheels (or your fingers!). We no longer carry the Axle Press tool, which involves putting your axle inside this iron bock and hitting the block with a hammer. The Axle Press tool is also used in conjunction with the Rail Rider Tool to bend axles to 1.5 or 2.5 degrees. Instead of these two tools, we offer you a significant savings with our pre-bent 1.5 and 2.5 degree BSA polished axles (see products below). We also offer both 1.5 and 2.5 degree pre-bent PRO Super Speed Axles. Steering is easy with our pre-cut screwdriver slot! Just turn the axle slightly left or right with a flat blade screwdriver. The Rail Rider technique gently guildes one front wheel to "ride the rail" thereby rolling straight down the track. Tests have proven this technique to yield superior speed over a car that hits the rail, bounces off, hits again, etc. Note:The Rail Riding technique is best done if you have a track to perform the tests required to get the car to gently ride the rails, rather than driving it into the rails. Rail Rider® is a registered trademark of Warp Speed Derby, Inc. The easiest way to make your wheels perfectly round and smooth is to mount each wheel on our mandrel then use a drill to spin the wheel while holding it lightly against a sandpaper block. Centering cone provides perfect wheel centering on the mandrel to true the wheel to the center line. Polish the inner wheel edge to further reduce track friction. Eliminates plastic debris, scratches, and flaws inside the wheel bore. After polishing and washing out the wheel bore, use the extra cotton spears to coat the inside of the bore with graphite! Includes the PRO Bore Micro Polish for plastic surfaces, dense cotton spears that perfectly sized for your wheel bore and an instruction sheet. The bore polisher is easily chucked in a drill. Less Friction = More Speed! 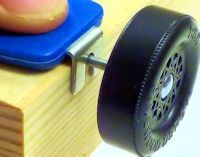 Pinewood Derby axle file is used to remove burrs and reduce friction. This is the perfect-sized drill bit for pinewood derby axle holes. This drill bit is 2.2mm, which is just big enough to allow you to hand-insert your BSA axles (2.24mm), so you can push your axles in with your fingers instead of a hammer! AWANA axles are 2.37mm, so they will be slightly tighter. With a perfectly sized axle hole, you can hand insert your axles, saving your fingers and insuring that your axles go in straight, thereby increasing your car's speed. We have found that a #44 drill bit (2.1mm) is too small for pinewood derby axles, making it impossible to push axles in with your fingers, adding the risk of inserting the axle crooked or cracking the block. This drill bit works perfectly in our PRO Driller Tool. Check alignments in a snap...with the PRO Wheel and Axle Alignment Guide. All the derby cutting and shaping tools you need in one kit! 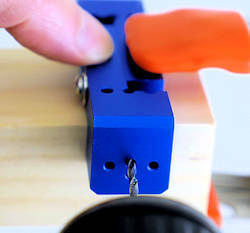 Use the Coping saw to make rough or intricate cuts. Use the four sided wood rasp tool to shape your derby car. Comes with 5 Coping Saw blades and even an instruction sheet. Use this small, Pinewood Derby pocket-scale to weigh your car BEFORE the weigh-in! Highly accurate to .1 grams (.005 ounces) so you can accurately bring your car to maximum weight. Handy 3.5" x 2.5" tray so your axles and wheels don't roll off. Turn scale on/off to zero it. Can also be recalibrated. Weigh your pinewood derby on this versatile digital scale featuring a blue backlit LCD, stainless steel weighing platform and it even includes the battery. This scale weighs up to 13lbs in .1oz increments so it can be used for many purposes after your pinewood derby race. 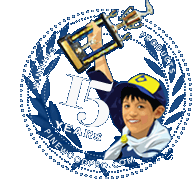 Pinewood Pro's PRO Tools are considered the best pinewood derby tools on the market. 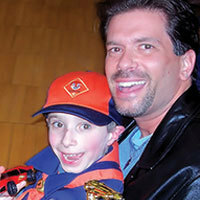 They are proven to reduce the work required to build a car while making your pinewood derby car the fastest it can be. PRO Tools were invented by the engineers at Pinewood Pro and many have US patents, or are patent pending. 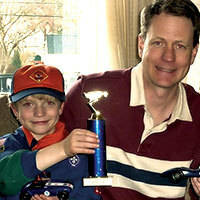 We have helped pinewood derby racers for over 15 years. But don't take OUR word for it! Read what our customers say about us. Please take a moment to read some of our over 1500 customer reviews.